Whether you're professionally measured a bra or just try on a bunch of sizes to see what works, most of us are never told what those sizes actually mean. 34D? 38A? Society tells us a “D" cup is big and a “A" cup is small, but what about those numbers? And nowadays, getting fitted sometimes means you end up in a much bigger cup size than you expected - even though your breasts may not feel that big! So what do those letters and numbers actually mean? Both of these Gossard bras have a size 30 band; the smaller is a B cup, and the larger is a G cup. The numbers are the “band size,” which refers to your ribcage size. The numbers, like “34” and “38,” have nothing to do with the size of your breasts, but rather, the circumference of your torso. Depending on the method of fitting, this number can be exactly the same as the inch measurement around your rib cage, or a few inches bigger. This number is super important, because without a band size, the letter is irrelevant. So if you go to the store and only know you want to buy a “B cup,” you’ll find ten different B cup bras with cups of wildly different volumes! Why is that? The letter is the “cup size,” which refers to how many inches larger your bust is than your band size. Essentially, the letter has nothing to do with the actual volume of your breasts; it’s all about proportion. For every inch larger your bust is from your rib cage, you go up one letter from A. So a size 34A refers to a bust that is one inch bigger than its rib cage; 34B is for a two inch bigger bust; 34C is a three inch bigger bust; and so on. 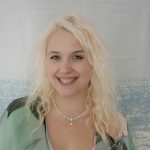 So why is my bra size so inconsistent? While other women's clothing sizes seem subjective (what is a "size 12," anyway? ), bra sizing is based on specific measurements and proportions. Therefore, it seems like all bras would have the same fit. So why does a 34 band in one brand seem so much smaller than another brand? Why do you wear a DD cup in one brand, but an E in another? There are two general reasons for this. First, there are the practical concerns. Even though these numbers and letters correspond to specific proportions, there is no standardization in fit for the fashion industry - even for bras. Every company uses different fit models (models used to test the fit of new styles), so one brand's "32B" fit model might be a few centimeters bigger around the chest than another's. Different companies also have different fit methods. They might fit their bras so you add 4 inches to your underbust measurement, or they might fit them so the band size corresponds to the actual ribcage measurement. Plus, different materials have different amounts of stretch; a silk bra is going to fit much smaller than a mesh bra. On top of all that, all bras are made by people at sewing machines, so minor size discrepancies, even between individual bras, are normal and even expected. The second general reason is because of size conversion. Although they all use the same system of fit and proportion, different countries have different sizing systems. Therefore the size you wear will change depending on where the brand is based. This is especially true if you wear a larger cup size. You might wear a 34E in bras from the French label Simone Perele, but a 34DD at the UK full bust brand Freya. However, the two sizes have the same proportions. 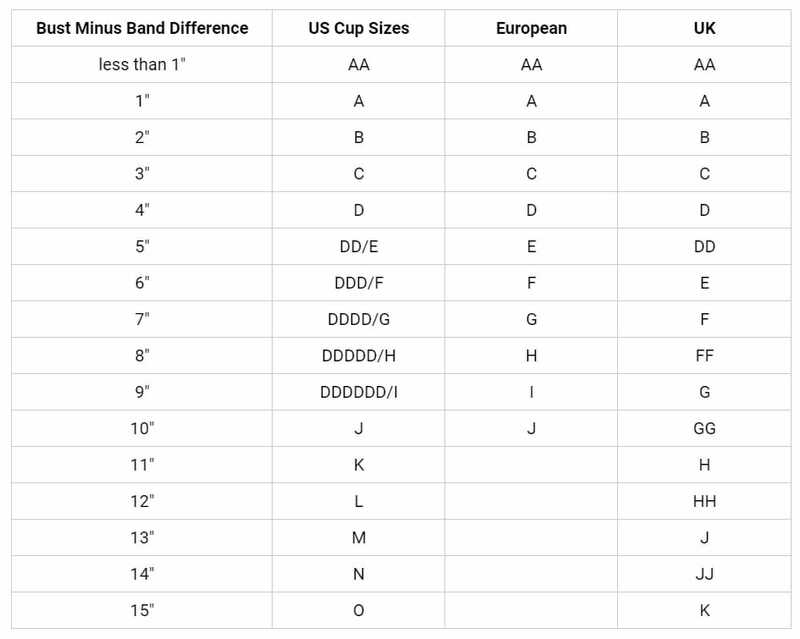 This size chart on the Bare Necessities websiteshows the conversion between US, European, and UK bra sizes. Bra shopping is so much easier when you understand the system behind the sizing. And now that you understand how your bra size works, you can discover the best fit for your body!